No filter. Most amazing #labradorescence, it’s a real word I promise, that I have ever seen. 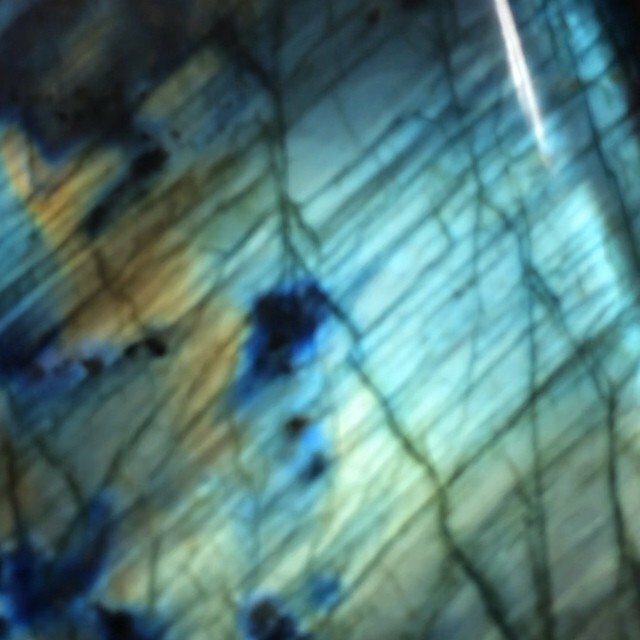 #Labradorite – the stone of magic. Only about 6 or 7 pieces (barely fit in your palm) and a giant one, I named it the #guardian.